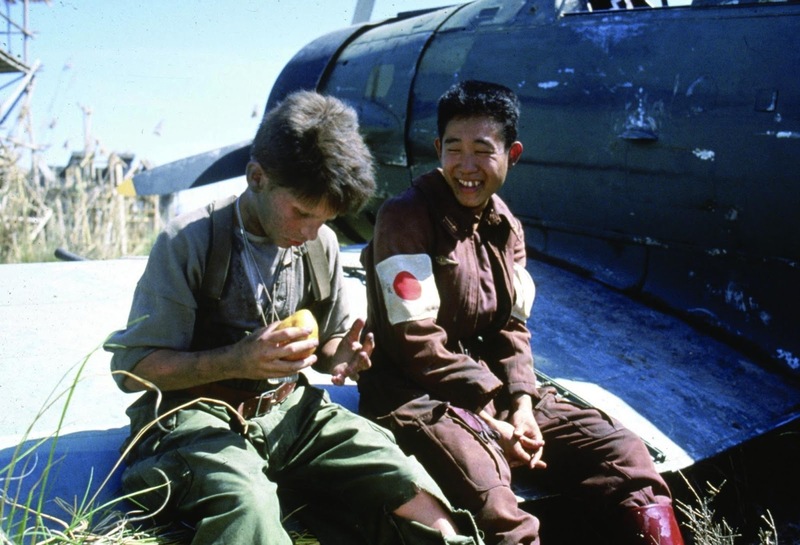 The adventures of an abandoned young English boy under Japanese occupation in China, Empire Of The Sun is an earnest coming of age drama looking for a purpose. There is no doubting the visual beauty of the film, but a narrative emptiness lingers. An adaptation of J.G. Ballard's semi-autobiographical novel, Empire Of The Sun looks great as it waits for things to happen, which they rarely do. The in-built pathos of a young boy having to grow up in a hurry in order to survive in the midst of global turmoil runs out relatively early. 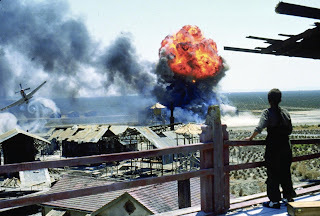 There is a modicum of sustained interest in Jamie's almost unabashed enthusiasm for celebrating the enemy Japanese pilots and their planes, but in the absence of any overarching character quest, the film plateaus into a what's-next-for-Jamie exercise, the war defining the prisoner experience, the character going along for the survival ride. The narrative is ultimately a doughnut, the outside, greater events more interesting than the hole in the middle. Which is not to belittle Christian Bale's achievement. 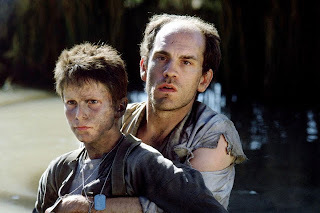 At around 13 years old, he delivers an affecting performance, fully able to hold the movie together, making up for the character's lack initiative with powerful observational acting. As Jamie's world becomes a kaleidoscope of surrealism, Bale captures the child thrust into a world suddenly fragmented into a new reality, gradually assuming man-like behaviours as a world at war reveals itself to be most unwelcoming for children. For a movie extending past 150 minutes, there are precious few other characters to care about. John Malkovich's Basie starts as an enigma and remains so, a gruff but smart man with hardly a backstory, presenting Jamie with both a challenge and a shield. Nigel Havers and Miranda Richardson get little to do except look quite unhappy at their miserable plight as prisoners, and rarely offer Jamie much in the way of guidance. Ben Stiller has a small role as an American PoW. Without too much in the form of characters or narrative tension, and appropriately enough for a film project that started life as a David Lean project, Spielberg is left to focus on making Empire Of The Sun look stunning, and here he exceeds all expectations. Through the lens of cinematographer and frequent Spielberg collaborator Allen Daviau, the movie is a series of intricately constructed landscapes, whether in capturing nature's pure beauty or humanity struggling against the ravages of first poverty, then war, and finally unadulterated suffering and starvation. Making use of startling silhouettes, vivid colours, light and shadows, and excelling in the panic-in-the-streets heave of humanity in Shanghai, Spielberg conjures up a memorable visual feast. Empire Of The Sun may not specifically move in any well defined direction, but as it meanders in search of a purpose, it manages to look absolutely fabulous.